Considered as the capital city of Iowa, Des Moines indeed looks like a promising and prosperous place to live in. Its name was taken from the Des Moines River. With over 209,220 people residing in the area, it has the largest population in Iowa. It is also ranked as the 89th most populous state in the US in 2016. As the county seat of Polk County, Des Moines offers various amenities, culture, and business opportunity. Des Moines is popular for its insurance and financial industry. The city is also known as the top spot for U.S. insurance business and companies and ranked as the third major insurance center of the world. In 2010 and 2013, it was graded as the best place for business by Forbes and in 2014, the wealthiest city in America by NBC. Des Moines paints a picture of a perfect city with its high rise buildings, recreation centers and employment and business opportunities. However, this metropolitan city is facing a battle with drugs. In the past year, the metro has its own shares of substance abuse and drug cases. If you live in Des Moines and have fallen victim to substance abuse don’t hesitate to seek treatment. There are enormous resources in at your disposal. The city has been battling the lingering drug problem for years. Law enforcers are doing their best to win this battle, but the drug problem is a continuous war in the city. Hospitals in the area also cited increasing cases of drug overdose on opioids and pharmaceutical drugs in the metro. As per Iowa Department of Public Health, the figure of opioid-related ER visits in Iowa has increased four times in the past eight years. The drugs now even cause more severe symptoms as compared to cases before. However, meth warehouses were seized by authorities in Iowa resulting in fewer methamphetamine supplies in the state. But, despite the efforts to combat drugs, police and law enforcement officials are concerned with the increase in heroin abuse and misuse of prescription drugs. 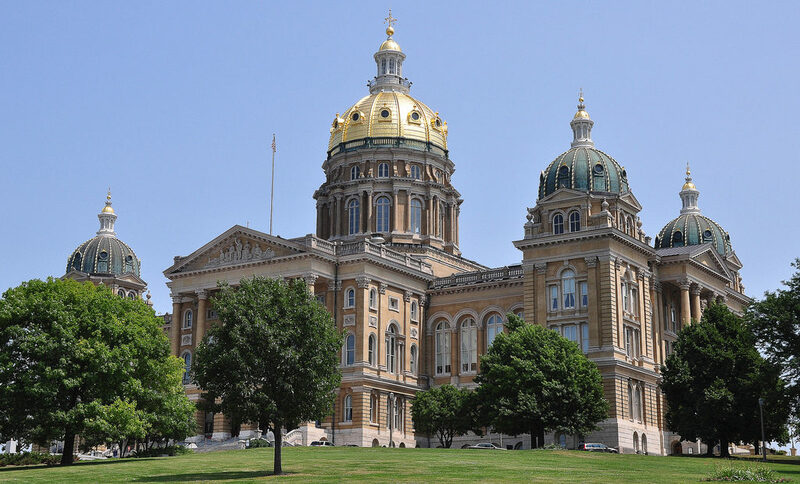 Use of medical marijuana in the state of Iowa was legalized in 2014. However, there are limitations to the law. CBD should not exceed 3% Tetrahydrocannabinol or THC, which is the ingredient that causes psychoactive symptoms. They allowed patients with certain conditions such as epilepsy and seizure disorders for this treatment. However, the state did not allow medical marijuana to be manufactured in the city. Hence, patients must purchase and get the product from a different state. These may result in violations of transporting CBD in-between states. Luckily, this was resolved earlier in 2017 when companies were allowed to produce cannabis, on certain guidelines under the approval and supervision of the Department of Public Health of State of Iowa. Based on the laws of Iowa, a person caught possessing cannabis or marijuana illegally, will have to serve six months behind bars and pay a fine of $1000. The penalty and jail time increases for second offense, $1500 for fine and up to one year imprisonment. And, for succeeding offenses, imprisonment of up to two years and a fine of $500- 5000 can be charge. In some instances conditional discharge may be granted depending on the case. Hours of community service are also added for certain types of conditions. In 2016, the National Statistics shows that the state of Iowa is one of the lowest when it comes to illicit drug use. But, alcohol use among underage people and binge drinking is higher than the national average. As per statistics, since 2004 the annual distilled spirit sale among adults, in the state of Iowa is consistently increasing. The number of females who binge drink in Iowa is 15.1% while the US average is only 10.9%. And, the males who binge drink is 27.9% higher than the US average of 21.4%. Since 2003-2012, there had been 968 people who were killed due to drunk driving in the state. Drivers are considered alcohol-impaired if their blood alcohol concentration is 0.08% or higher. With the number of stores that sell alcoholic beverages, it is easy to say that residents have easy access to alcoholic products. The state of Iowa conducted various strategies to reduce and prevent problems caused by drunk driving including fatalities. It is illegal to drive with BAC of 0.08% or higher, if found driving under the mentioned circumstances, the person involved will face charges. There is also a minimum legal drinking age of 21. Under the law, it is illegal for those aged below 21 to drive while under the influence of alcohol, regardless of the BAC measurement. These strategies that address drunk driving helps prevent accidents and save numbers of lives in the state. According to the state of Iowa Drug Trends, published online, the state’s prescription drug abuse is lower as compared to the average rate in the US. However, its opioid abuse rate is increasing. Abuse and misuse of opioids may lead to severe damage to the system and death. Under the opioid drug category are some prescribed pain relievers and also heroin. To address these drug problems the Iowa Department of Public are partnering with other entities and stakeholders. Younger population are exposed to drugs in different ways. It can be through their peers, from school, media, and their environment or even in their own household. If in an early age they experience using illegal drugs, it can cause negative impact on their lives. It can affect their performance in school thus leading to problems as they grow as adults in the community. To address this problem, drug awareness campaigns are continuously conducted to educate the youth and help them stay away from illegal substance. Elevated stress levels. Some people are more prone to stress and have difficulty handling stressful situations. Thus they turn to other solutions to help them manage their problems. Addiction and drug use within own household. If there is a family member or a parent involved in drug use, children or other members of the family might imitate the behavior. If drugs are readily available at home children can experiment and may end up abusing it. Trauma and injury resulting to misuse of prescription medication. Some people are prescribed medical drugs to help manage the pain they are experiencing from trauma and injury. However, they are at risk for abuse and misuse of these prescription drugs. Drug or alcohol exposure at a young age. If children are exposed to drugs and alcohol at a young age there is a higher chance that they will also engage in these activities as adults. Exposure can be from peers, parents and even in the school grounds. Anxiety and depression. People who have anxiety and depression have access to anti-anxiety drugs. This also puts them at risk for misuse and drug abuse. Psychological and mental problems. People with impaired mental health are more at risk to drug addiction. They may seek help and comfort from drugs which could lead to addiction. Experimentation. This is the stage where a person tries to use drugs or alcohol for the first time. During this stage, it’s hard to identify if a loved one is actually using illegal substance because there is no obvious change in behavior and physical appearance. If a loved one is caught experimenting, it is important to identify the reason and address it before it becomes a full-blown addiction. Regular Use. In this stage, the individual is already using the substance on a regular basis. This may be hard to recognize especially if the person can still function normally even with his habit. There may be signs such as problems with his regular use and the individual may try to stop but end up using the substance again. Risky Use. At this stage, the individual keeps on using the substance and there will be noticeable changes in the behavior. To avoid the condition to worsen, the user and family should seek help. If treatment is sought at an earlier stage it is easier to treat and duration of treatment is shorter. Dependence. The individual is already dependent on the substance during dependence stage. You will observe dangerous changes in behavior that may result to harm. Ending dependency may require longer treatment, however, asking for help will prevent further damage to one’s mind and body. Addiction. At this stage of addiction, abuse of the substance results to continual and uncontrolled use. Despite the harmful consequences, individual still uses the substance, more frequently than before. There are obvious physical, behavioral and mental changes that can be easily recognized. Individual may use larger doses that could endanger his life. If you observe these from your child, friend, partner or member of the family, there is a high possibility of drug use or abuse. Act promptly and have them checked. And, initiate effort towards their treatment and recovery. Understanding the signs and symptoms of drug addiction and the changes in will help a lot in the process of recovery. Undergoing treatment is the most effective way to overcome addiction. There are lots of facilities in Des Moines that offer drug addiction treatment and with the support of family and cooperation of the addict results are very positive. Safe environment. Undergoing treatment offers a stable environment for people who are addicted to drugs and alcohol. Treatment centers offer secure facilities with no access to illegal substances. This is an essential part of their recovery because it keeps them away from temptation. Having privacy during treatment is essential because patients want to be protected. Privacy brings ease and gives feelings of peace and trust. Treatment centers respect privacy of every patient and make sure that any information is kept confidential. Expert help. When undergoing drug rehab or treatment, there are expert counsellors who can provide advice and lend an ear. They will guide you all throughout recovery. They are professionals in handling drug cases and they fully understand the situation of people with drug addiction. Peer support. Being part of a drug treatment program offers support from individuals with the same or even worst drug abuse situation. Aside from one’s family, having a strong support system from peers helps a lot in the treatment process. In this kind of environment, they can get advice, have friends with similar issues, learn the experiences of other patients and also be inspired by others who survived the drug problem. Daily activities. For some treatment programs, there is a daily routine that patients have to follow. Their treatment program includes group sessions, therapy sessions and other activities that will help improve the status of the patient. Learning opportunity. Undergoing treatment give addicts a chance to learn and understand the things that they are experiencing. With that knowledge, it is easier to overcome it and transition back to normal and sober living. Environment free from drugs and alcohol. In a treatment center, it is prohibited to bring drugs or alcohol. This allows patients to recover faster because they do not have access to the substances that caused their addiction in the first place. Being away from drugs will help a patient understand their situation and see more clearly resulting to better treatment outcomes. Continuity of care. After treatment, the patient is still monitored and followed-up. This allows continuous monitoring of the status of the patient. They are prepared for re-entry to their community while making sure that they will stay away from drugs and alcohol consistently. This helps prevent relapse and use of prohibited substance again. Assessment. Assessment is conducted to determine the extent of addiction so that professionals will be able to know the best treatment option for the patient. This also helps identify other conditions that will play an important role in the treatment. All information discussed during this period is kept confidential. Intake Process. This process involves an interview conducted by a health professional such as a doctor or nurse. This is done as part of the admission process on a certain type of treatment program. Your medical history will be taken. And thorough evaluation including a physical exam and mental assessment is conducted. Detox. This is done to help addicts overcome the unpleasant experience of withdrawal syndrome. Detox aims to physically heal the client from the effects of long-term substance abuse. The patient first goes through stabilization process and then detoxification. Inpatient Treatment. This is a treatment program where the individual submits himself for treatment and patient stays on a treatment facility. The advantage of this treatment is that it provides a secure environment for patients and they can be constantly monitored by professionals such as nurses and doctors. Outpatient Treatment. This treatment program allows patients to stay in their home with their family while they undergo treatment. They can also continue with their personal responsibilities as they go about the treatment. With this type of program, sessions are scheduled throughout the week. There are different types of outpatient treatment and each has various level of intensity. The general focus of this treatment is counseling and support. Aftercare. After completion of the rehab program, the patient undergoes follow up treatment to monitor status. Aftercare is done to make sure that the patient will maintain and continue his or her recovery. This also helps prevent relapse as the patient is assessed for signs of re-use when they visit for follow up. Sober Living. For people who are transitioning to going back to the community, sober living offers a home to help them fully recover while they function in society. In sober living homes, people who just come out of the rehab are provided support while they live with other people with the same condition. These homes strictly prohibit use of drugs and alcohol so individuals can stay sober while they fully recover.